We have created this special Breastfeeding Twins Photo Gallery and Guide to provide visual education, encouragement and support to those mothers contemplating, or who already are breastfeeding their twins. Tandem nursing is a unique experience and sometimes requires some unique positions to accommodate two babies comfortably. You may have to get creative with the different holds to find what will work just right for you. It definitely helps to see exactly how other moms are doing it successfully. We appreciate all contributions made here in celebration of twin breastfeeding and sincerely thank you for posting your helpful pictures! 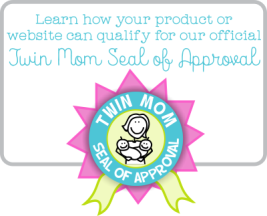 * For more information and support please visit our Breastfeeding Twins Page. to add your unique photos here! Let us know about your tandem nursing experience. To add your photo, just click the button and find it on your computer. Then select it. *Photos must not exceed 600x800 pixels. Here i am feeding my twin boys Bekett and Teague at 6 months. Aria and Addisyn nursing in the same position. super cute...that is how they sleep sometimes too, just like mommy. My twin boys and Nursing at home and NIP at the park. They are currently 17 months and still nursing 1-2x a day/night. This is my twins nursing at 5 months old. We achieved hands-free tandem football hold nursing before we even left the hospital. The EZ-to-Nurse pillow was a godsend! Nursing two babies is the most natural experience for everyone involved. There is nothing more nourishing than mother's milk and nothing more nurturing than feeding twins this way. Many mothers may shy away from tandem breastfeeding because they feel it will be just too challenging. That's why this resource is here! We truly hope you enjoyed and were inspired by these wonderful women who shared. Check out this beautiful photo of a tribal woman nursing her twins from the National Geographic 2014 Photo Contest.